Increasingly, I see yellow back in my area. Fluorescent yellow, soft yellow, mosterdgeel Nou, and ..., yellow so. It is fresh and energizing. So maybe not such a good idea in the bedroom. But very nice in motion, kitchen, bathroom or living room. I love it. 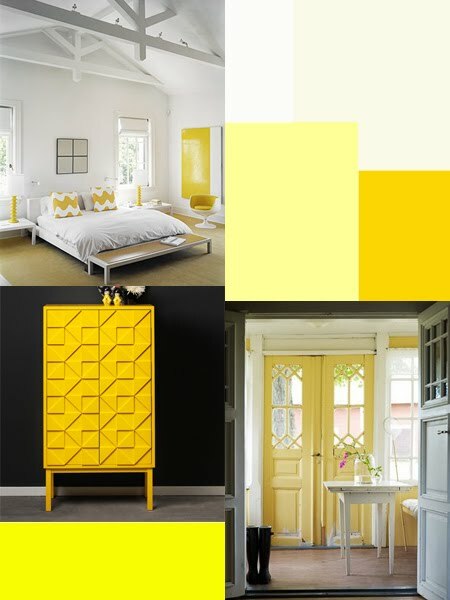 These images come from the blog to accessorize your home. She has them back from fellow bloggers. This blog is also posted on Kleurinspiratie, one of the websites for which I write during my internship at Sanoma Media.